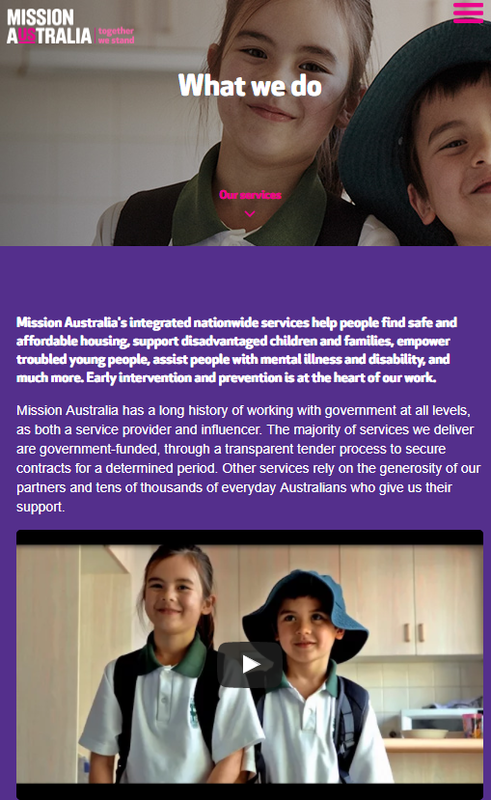 Mission Australia use iBase for their brand management needs, with the special requirement of obtaining and storing usage permission from the subjects included in an image and to track every use of an image. Previously images and videos were stored on shared drives, on local computers, on a range of CDs or only existed as hard copy prints. This led to many hours of searching through folders or contacting other staff members to ask where an image might be located. If an image or video couldn't be found then the brand team had no choice but to purchase another suitable item. They were looking for an Intranet based solution, for administrators to store and catalogue images and for other staff to browse, search and request images. Each image containing identifiable people will need to have an associated PDF permission to publish. The application will support workflows and must contain an audit trail of previous usage. Efficiently and effectively store, search for and locate media. Easily define media history and subject matter such that the item can be searched for and found. Put workflow rules in place so that all media loaded into the media management system is correctly catalogued, indexed and includes usage permissions. be able to easily bulk-update media metadata. Low cost and Automatic search suggestions 'as you type'. Authorised users can then access the collections, using a variety of search features. Support for identification of Media owners enabling them to be made accountable for storing and organising media. Process and workflow to ensure images are submitted to the Brand team. A workflow so that all images are sent to one or more approvers to be safely stored and loaded into the management tool correctly. Images to be stored together in a central location. Multiple user access levels to the tool for staff members (eg. The brand team can create labels, edit images etc, while other staff can only browse images). Media can be labelled with multiple keywords. Search criteria can be specified using standard Boolean operators. Original image retained and accessible. Audit trail to track usage and changes to images (who edited, last modified time stamp, what was changed etc). iBase also supports Active Directory authentication, which allows users to login using their existing credentials. We have been using the iBase Digital Asset Management on-premise system since 2012 and have rarely had to contact support – the software just works! The support team is friendly, efficient and pro-active - advising us of upcoming enhancements and ensuring our system is operating at peak efficiency.